86 cases were slapped against Ajmal Kasab before he was hanged till death on 21st November, 2012 in Yerwada Central Jail, Pune, Maharashtra. One of those cases was entering platform without taking platform ticket !!! He did not buy a platform ticket while attacking the Chhatrapati Shivaji Terminus (formerly Victoria Terminus) railway station. 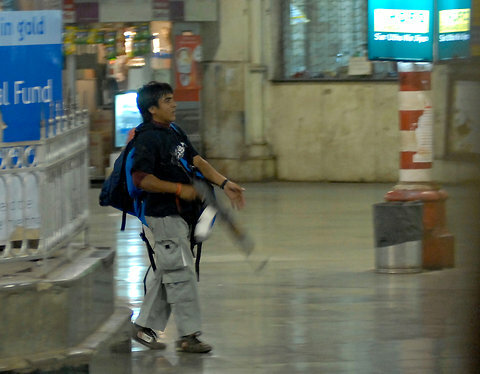 Best of d day so far...Kasab ws alleged in 86 cases including entering Railway Station without Platform ticket.